It's easy! Note that you cannot attach a file to an email. However, you can very easily link to it from within an email. When someone subscribes to the list... 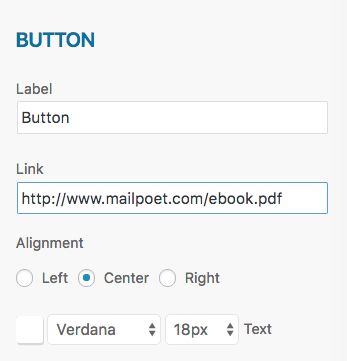 This option allows you to send emails to subscribers who join one of your MailPoet lists. When a new WordPress user is added to your site... 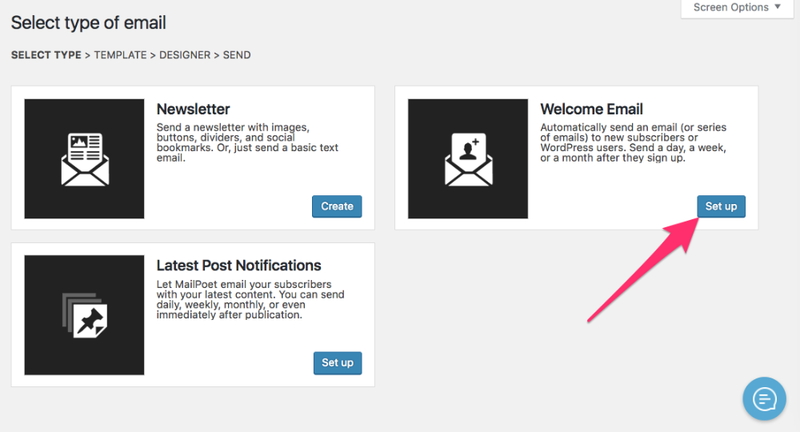 This option allows you to send emails to new WordPress users. Then, select a template and go to the Newsletter Designer. 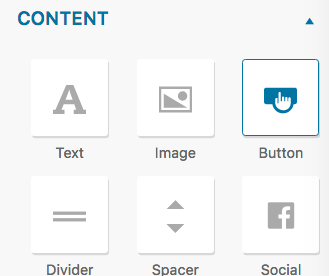 Drag the Button widget into the Designer. To modify the button's settings, hover over the button and click the gear (cog) button that appears. Finally, add the link to the PDF file. 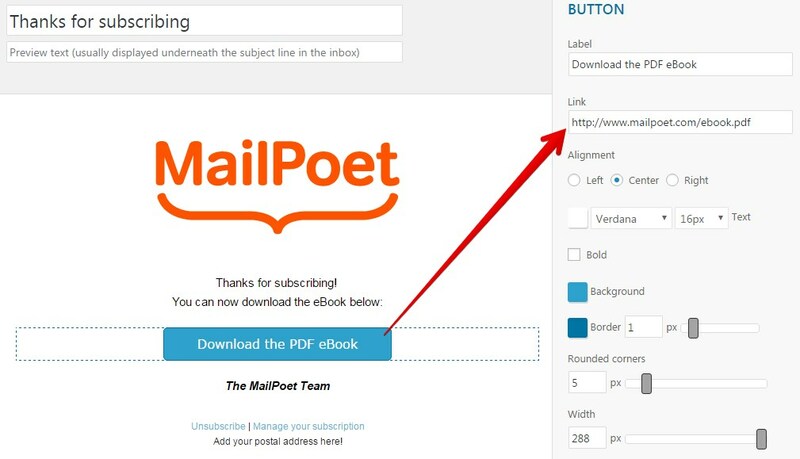 This button will now link to your file and every new subscriber will receive this welcome email.